2What is a Sole Proprietorship? 3How to Establish a Sole Proprietorship in Orange County? A lot of us who want to start a business are faced with the challenge of choosing the right business structure. The easiest business entity to form is a sole proprietorship. Find out how the easy steps for creating this business entity. When entrepreneurs start a new business in Orange County, California, they are always faced with the need to decide on what structure they want their business to have. There are various kinds of business structures in California. The structure you choose will define how your company will operate. The simplest structure to adapt is a sole proprietorship. 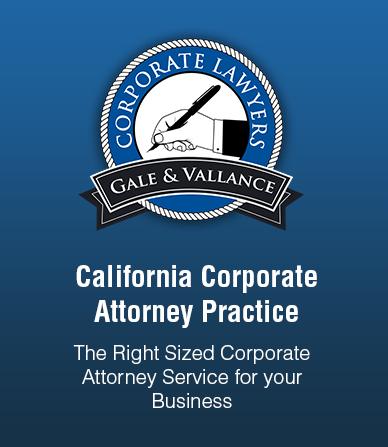 A sole proprietorship is the most common form of business structure in California. In this business structure, the company has no existence apart from its owner. A sole proprietorship has only one owner and consists only of that individual. In other words, the business and the owner are one. If the ownership is more than one person, the structure is called a partnership. Sole proprietorships must have a separate bank account opened to run their operations. All the facets of a sole proprietorship are controlled by the owner of the business. Since there is no separate legal entity and no separate legal person, the owner of the business is personally liable for all the debts and actions of the company. This is why it is advisable to purchase insurance to cover the risks of running a sole proprietorship. The business ceases to exist if the owner passes away. Additionally, it is important to note that even though the designation says “sole” suggesting one person, a husband and wife can be classified as a sole proprietorship. How to Establish a Sole Proprietorship in Orange County? The very first thing that you need to do to start a sole proprietorship in Orange County, California is to choose a business name for your company. It is imperative that the name you choose for your business is not the same or too similar to a registered business name. You can make sure that the business name is available by checking it on government databases (California Secretary of State database, U.S. Patent & Trademark Office database and the county recorder’s office where you plan to do business). Moreover, the business name you choose must not be misleading but reflect or imply the nature of your business. For companies in Orange County, California that have a business name different from the owner’s legal name, filing a Fictitious Business Name Statement in the Orange County recorder’s office is required. Business owners are allowed 40 days from the start of the business to file this statement. The application process for registering a fictitious business name is completed by publishing the statement in any well-known newspaper in Orange County for 4 consecutive weeks. Depending on what activities your business will engage in, you need to obtain a variety of licenses and permits for its operation. The website of the California Governor’s Office of Business and Economic Development CalGold provides a comprehensive database of the licenses and permits that may be needed by a sole proprietorship in California. Included in the information they provide are the required filings and laws that your business may be subject to—like inspections and minimum wage laws. Just like other types of business entities, a sole proprietorship must obtain an Employer Identification Number or EIN if it plans to have employees. An EIN is a unique 9-digit number issued by the IRS used for reporting taxes. All businesses in California that have employees are required to report wages to the IRS using the issued EIN. Sole proprietorships that don’t have employees are exempt from obtaining an EIN. To report their taxes, they only need their Social Security number. Although an EIN may not be required for this type of sole proprietors, obtaining an EIN is still advised because some banks require an EIN for you to open an account. Banks reduce the risk of identity theft by requiring EINs from their clients. Businesses in Orange County, CA that pay their employees at least $100 US Dollars in a given quarter are also required to register for a California employee account number. Keep in mind that if you have employees in your company, you need to report and pay employment taxes quarterly. Once you have established your sole proprietorship, you need to open a business bank account. A business bank account is necessary so that your business financial transactions and expenses are kept separate from your personal financial transactions and expenses. This will keep your financial records orderly and help you avoid unnecessary problems in the future. A common problem that may arise from not having separate accounts is when you confuse your personal expenses with businesses expenses, and you end up making errors in your tax report for not knowing which is which. You can use your fictitious business name and EIN to set up a business bank account. Because the owner and the business are not separate entities in a sole proprietorship structure, the owners are personally liable for all the debts and obligations that the business may incur. To protect yourself from many problems in the future, it is a must that you obtain a business liability insurance policy. In California, a sole proprietorship may be required to report items such as sales tax and use tax depending on your business’ activities. Keep records properly and pay taxes diligently so that you can avoid unnecessary problems. There are various types of business entities in Orange County, California. If you want to transform your sole proprietorship into another business structure, you might need a business attorney in Orange County to assist you. The lawyers of Incorporation Attorney are a few of the most trusted legal counselors in the area. Call them today to discuss forming various business structures in Orange County, California. For more information about the many legal services that they offer, contact them at 714-634-1414!